“Pressure is growing on Kirklees Council to look seriously at a bypass for the traffic-clogged village of Flockton. “The first phase could involve a feasibility study into potential routes for a relief road taking HGVs and other vehicles off the busy A637 that cuts through the community. “Councillors who have backed residents’ calls for a bypass say the cost of such a study could be as little as £80,000. 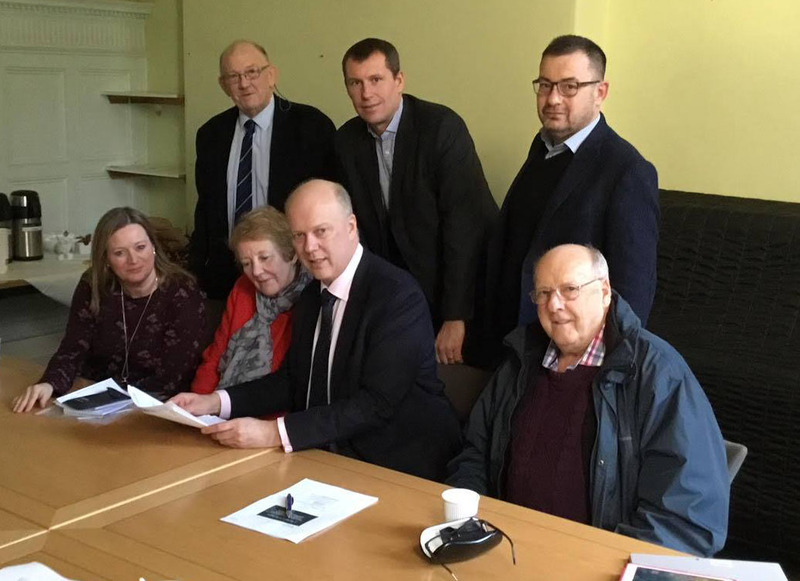 “In comments that seemed to relate directly to the Flockton scenario Mr Grayling said: “Typically you will have a small town on a major A-road where you have got an old centre, narrow streets, lorries going through them. Read the full article on ExaminerLive, here. … as deputy mayor Mumtaz Hussain terminates Kirklees Council meeting early. Residents of Flockton plagued by a “constant barrage” of traffic will continue their campaign for a bypass. 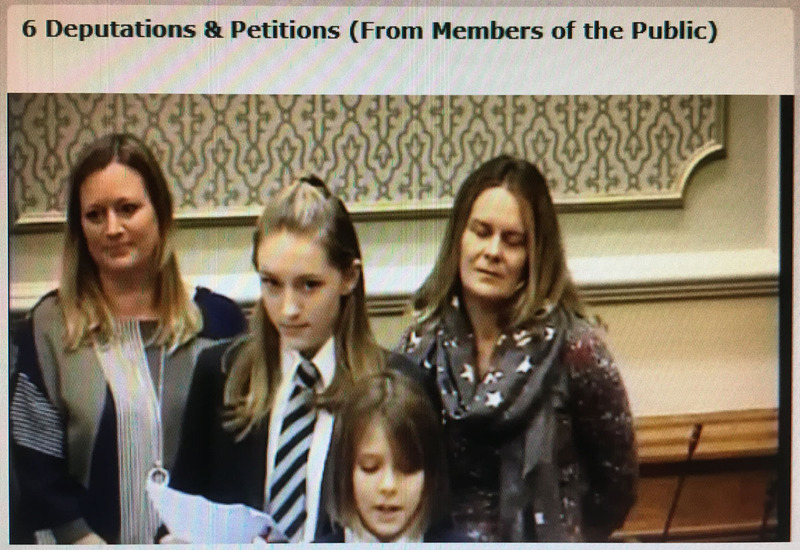 Two schoolchildren joined adults to present an impassioned deputation to Kirklees Council in Huddersfield Town Hall on Wednesday evening. But whilst their address was greeted with applause from the council chamber a motion calling for a relief road for Flockton went unheard. Now the Conservative councillor who has already raised the issue three times has vowed to do so until the Labour-run authority takes notice. And Clr Richard Smith (Kirkburton) offered his apologies to the people of Flockton for what he described as a “shameful display” by Labour colleagues, which culminated in Deputy Mayor Mumtaz Hussain abruptly terminating the meeting. Clr Hussain refused to extend the meeting beyond its 9pm cut-off despite being invited to do so by Clr Smith, who was overruled twice. Clr Smith called it “absolutely appalling behaviour when people have made the effort to do the deputation. He added: “I have raised this issue at least three times now. The bit that really annoyed me about the meeting was that I asked for standing orders to be suspended so that we could debate the issue. “The Deputy Mayor said no. He could have used his discretion to hear it and he didn’t. “I was angry but not surprised that the Labour Group wouldn’t entertain it. “The Flockton residents’ deputation was well-received. The motion I put forward wasn’t just about the bypass but also about HGVs coming through the village when they shouldn’t, children walking to school, and housing that is going to impact on traffic levels. In presenting their deputation, local mothers Elena Delaney and Charlotte Michael pleaded for their voices to be heard. They said changes in road usage had impacted on the village, making demands for a bypass “more urgent than ever. In response senior Kirklees councillor Peter McBride said: “It’s real, it’s a problem. When we get the funding we will try to resolve it. “I am not saying that we will provide a relief road. Longer term I think there is a solution. It may be the North Kirklees Orbital Road. He said the council was looking at interim measures including travel plans for the local school and improved signage on highways. Well done to those who represented Flockton at the Council meeting on the evening of 10 October 2018. The presentation, under the heading of point 6: Deputations & Petitions (From Members of the Public) was very well presented and equally well received. This meeting was chaired by the Deputy Mayor, Councillor Mumtaz Hussain, in the absence of the Mayor, due to illness. Unfortunately, Cllr. Richard Smith’s question, at the end, was once again cut off by the Council. This was the fourth time Kirklees Council had filled time to prevent the question from being asked and answered! “I would like to apologise to the people of Flockton for the shameful display earlier this evening at the Full Council Meeting. 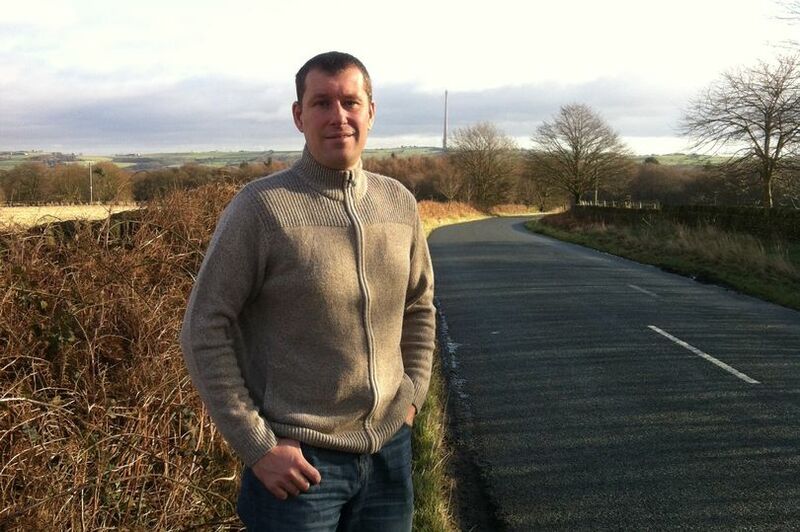 “When the Deputy Mayor announced that we were running out of time and made it clear we would not have time to discuss the Motion I had prepared in relation to traffic issues in Flockton, the Bypass and other major road projects in Kirklees, I firstly asked that we suspended Standing Orders, which would have allowed us to discuss the motion and give it the consideration it deserves. After having lost this vote, due to, it seems many Councillors in other groups wanting an early night, I asked the Deputy Mayor, as Chair of the meeting to exercise, as is his right, discretion and grant this anyway. When this was also declined, I asked if we could take a vote on the motion. “Unfortunately, the Deputy Mayor refused and closed the meeting at 20:58. “I am very disappointed with the lack of courtesy shown to the good people of Flockton, especially after a small number of you, including some school children made the effort to attend the meeting and present a very well thought out and presented deputation relating to the same issues. “I can only say I tried my best to prevent this from happening and I have already written to the Clerk, formally requesting that this be placed on the next Full Council agenda. “The 3 Ward Councillors will continue to support the residents we represent and in time we will have our time in the Council Chamber. “I have asked for a list of all the elected members that voted against suspension of Standing Orders. I am not certain I will get it, but if I do, I will be passing it to the Examiner. See the Huddersfield Examiner article here (or scroll down to later post). Members of the Flockton Bypass group will be among a limited number of the public, attending this meeting. Commences 5:30 pm. Live on webcast if not attending. 14: Motion submitted in accordance with Council Procedure Rule 14 as to Flockton Traffic Issues. To consider the following Motion in the names of Councillors Smith, J Taylor and D Hall. “This Council notes that work is now underway to produce an Option Assessment Report in relation to the North Kirklees Orbital Route which will help to determine if this is a viable scheme to develop. Additionally the £77 million Cooper Bridge by pass, linking the A644 near junction 25 M62 and the A62 near Bradley Bar is currently in the Design phase. 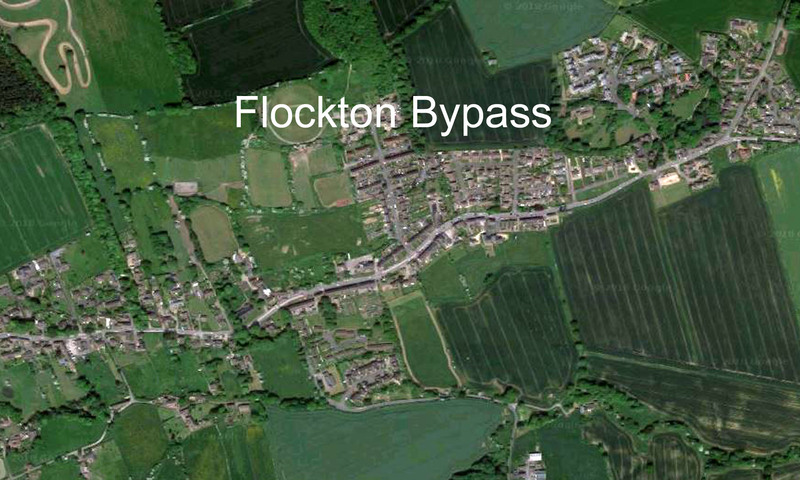 The Council recognises that both these schemes have the potential to significantly affect the volume and flow of traffic in and around the village of Flockton and on the B6118. Given the existing severe traffic problems affecting the village of Flockton and the undoubted increase in the future with developments already in construction and the potential from the Local Plan , the Council recognises that even if it were to overlook the 2 major road schemes already mentioned, without intervention, this situation will only continue to deteriorate. Council Agenda information and documents.